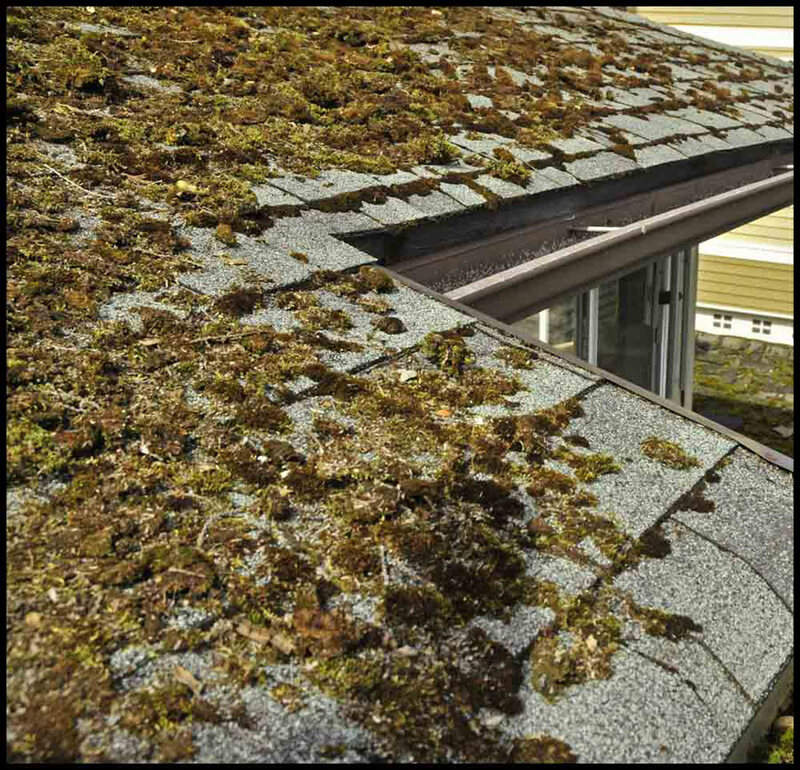 In moist areas, such as the Pacific Northwest, moss can and will grow on shingles. Although the moss doesn’t necessarily ruin your shingles it can have negative effects. Moss can divert the path of water draining off of your roof, it can discolor the shingles, separate or lift your shingles, and it can retain moisture on your roof. While moss isn’t the most serious issue, proper maintenance and preventative care can truly help the longevity and appearance of your roof. Moss can be brushed off, or if needed, can be sprayed off or treated with a moss-killing chemical.